We finally made a point of returning just for the burger alone. As I begin to check out the menu the first thing I notice is Finger Steaks. Now most people might not know what these are, but I totally knew what these were. Finger steaks were a staple at all the fast food joints in Eastern Oregon and Western Idaho. We had the Red Steer that was known for these tasty treats and other fast food joints just followed along. Turns out the chef is from that area and wanted to bring these to the menu. 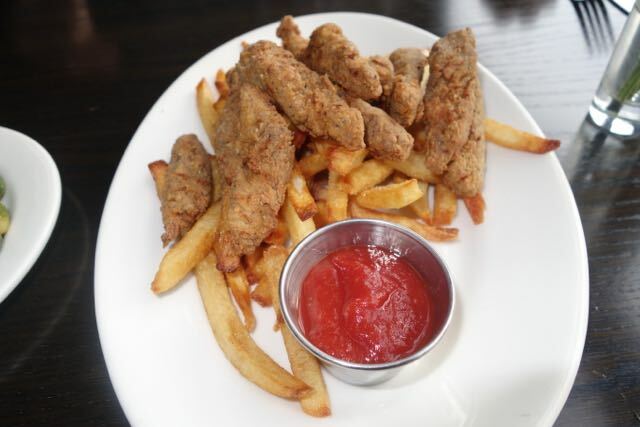 It’s like a chicken strip, but with steak instead. I was thrilled to try these and want to say they were mighty tasty. We can’t wait to bring back the in laws as they will love this walk down memory lane as well. If they are on the menu I will order them. 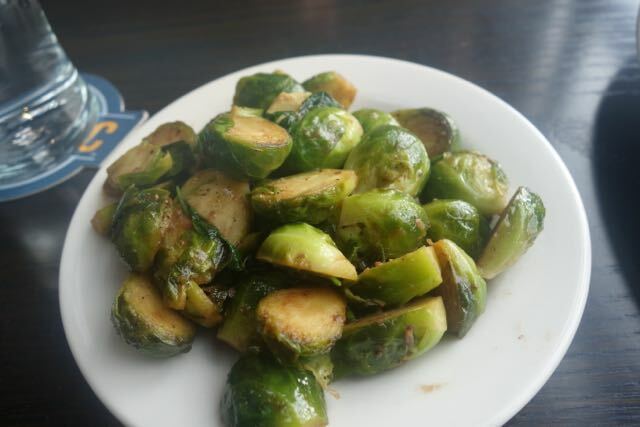 Brussel sprouts from Ecliptic Brewing. The veggies balance out the beer. As you know I’m a sucker for Brussels sprouts so we got those along with the Mussels and the burger that came with a choice of soup or fries. I must say I think this is the best food coming from a brewery in Portland. I have tried a few others that are supposed to be good, but these guys have got it figured out. And it’s not just because they have finger steaks, but I will admit that makes me happy. I should say, we were impressed with the burger. The picture didn’t turn out, but it was great and we would definitely get it again, plus I loved getting a nice warm soup to go along with it. Atmosphere is great here. Very open and bright. In the summer it has a ton of outdoor seating. Pricing was $14 for the burger and $7 for the Finger Steaks. 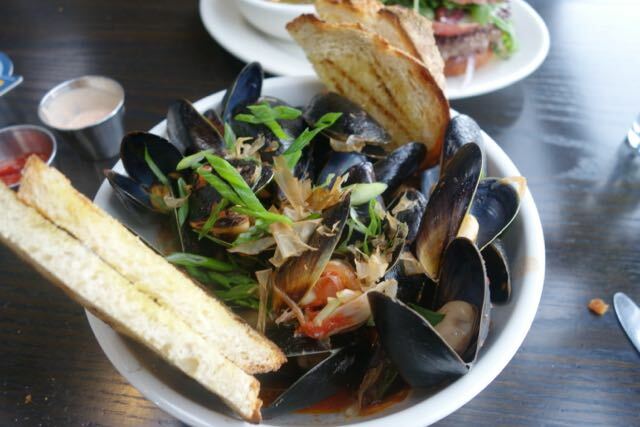 It’s a brewery, so enjoy some beer with this meal. Ecliptic is located near the intersection of N Cook St and N Albina Ave off of Mississippi. Excellent review! I look back and now and see I completly failed to write a review here myself but the beer and food was amazing (and I think I even got a decent picture of the burger…). We had a large ground ranging from young to old and everyone enjoyed it. Cheers!